Every other day Chillibreeze’s PowerPoint experts create templates using roadmap analogy for customers from around the globe. I have created a few myself and boy, they can be taxing. In addition to a lot of content in a slide, you will have to make it appealing to the eye. In other words; the slide should effectively communicate visually and deliver the message successfully. But in the end, it pays off! Using visual tools to highlight the roadmap, plans and strategies are more effective than text-based content. A visual approach to telling your story during a PowerPoint presentation can keep your audience engaged. Eye-catching graphics with relevant content is the key to connecting with them. 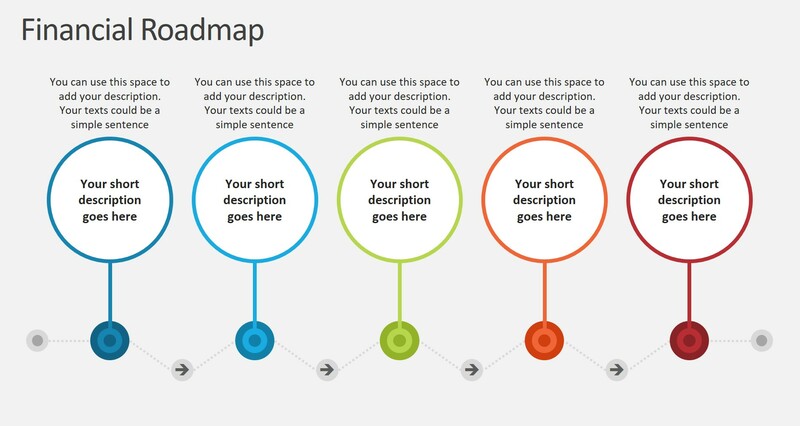 A visual roadmap analogy template can do just that! Roadmaps need not necessarily show the exact sequence of an action plan. They may be used to display a visual framework of a strategic plan or to project estimated timelines of an assignment. In effect, roadmap templates make wonderful business analogies. String words and appropriate illustrations to let the audience visualize your flow of thought. Illustrated roadmap templates can be used to outline your organization’s framework, goals, and strategies. You can use roadmaps to explain your action plans and the reasoning behind it. 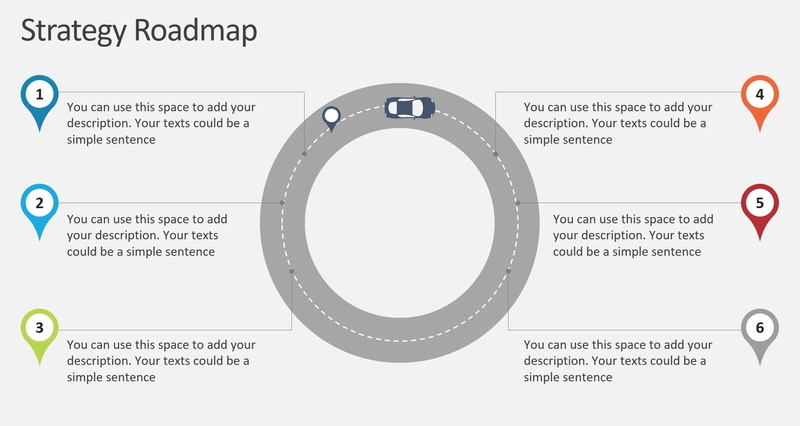 Here are some interesting visuals created using a roadmap analogy in PowerPoint. The examples below show how roadmaps can be presented in various business scenarios. 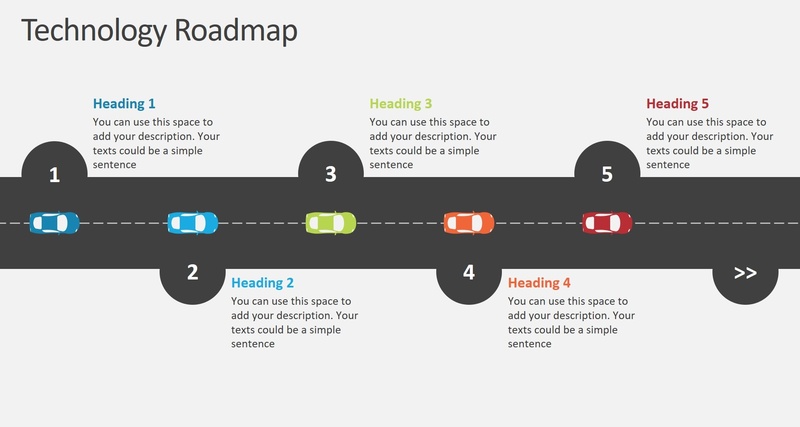 When your roadmap slide is not text heavy, using graphics like the one here balance the look and feel of the slide. This example shows how a slide of content is used to transform a technology roadmap plan into a visually appealing graphic. This template gives a clear and crisp overview of your product plan throughout the year. Being editable, you can add or delete content to the slide according to the need. Replacing text with icons can make room for a more important message you want to deliver through the slide. Make it easy for your audience by presenting your plans on a visually attractive slide. This strategic roadmap slide takes away the boredom of reading lengthy reports and creates an element of interest. It’s never easy to convince clients with a financial plan. Toss away the notepad, instead use a financial roadmap graphic to chart out an appropriate investment planning strategy and make an impact. You could use a simple graphic like the one shown below. It shows a clear path and investment plan every step of the way. 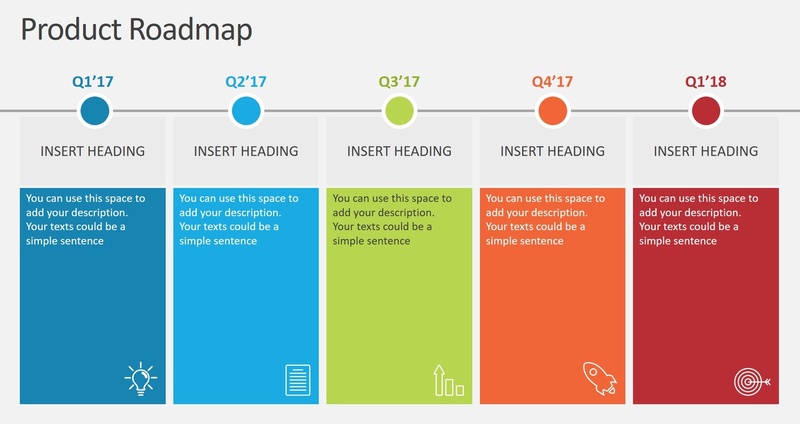 Roadmap template can be used for any business that shows a timeline or a process and any of the templates as seen above can be used. There are no limitations to it. And I can bet that there is not one business presentation that goes without showing a roadmap. It is an action plan that you have in a slide. Building a roadmap requires a lot of brainstorming, ideation, and planning. Presenting the roadmap. You don’t want all that hard work to end up in some ugly looking slide, do you? Having a good roadmap slide or infographic that is visually appealing and at the same time delivers the message to the desired audience successfully is the package worth all your time and effort put into the research and planning. Learn more about ways to deliver branding using PowerPoint templates. Do you have something to share about your experience presenting a roadmap slide? Leave a comment. Would Love to hear your experience.